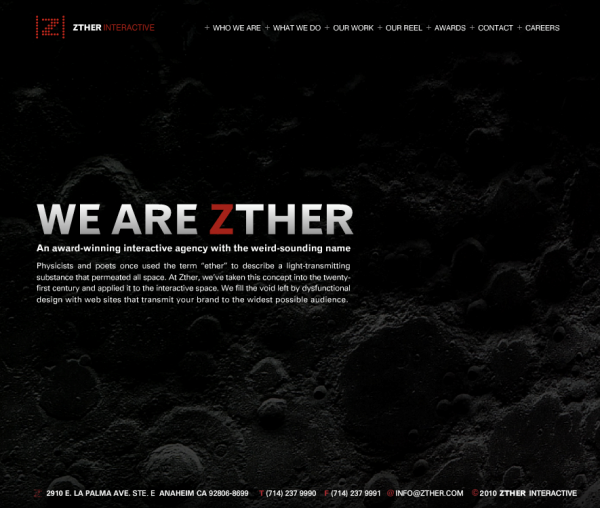 I partner regularly with award-winning interactive agency Zther on their clients’ websites. 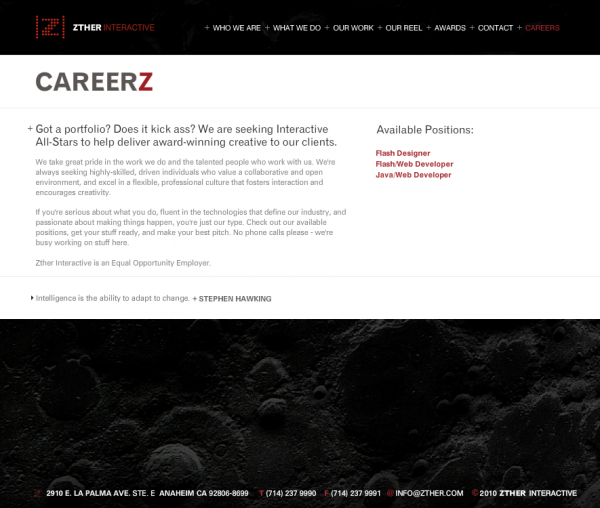 So when the team contacted me to write the copy for their own site, I jumped at the chance. 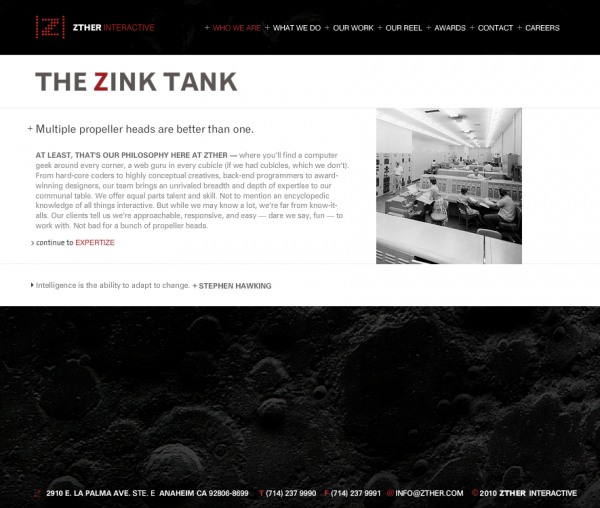 We came up with the concept of centering the structure and copy around the Z in their distinctive name, reinforcing their brand. 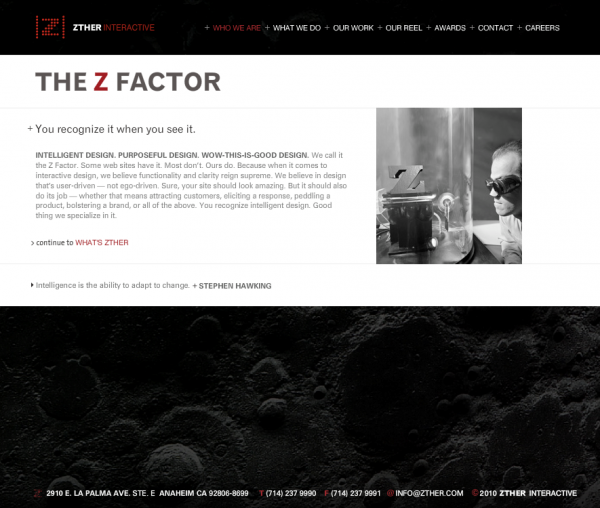 The agency wanted to communicate its functional design philosophy and technical savvy, without taking itself too seriously. It was fun to write, and hopefully fun to read.